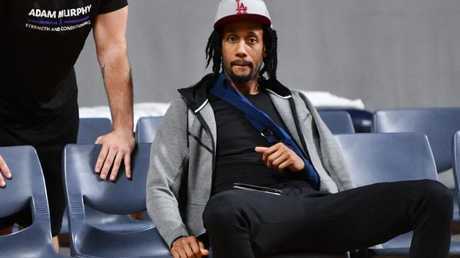 THE NBL grand final series is heating up with Melbourne United slamming claims David Barlow deliberately went out to hurt Adelaide 36ers star Josh Childress. Childress sustained a season-ending shoulder injury after crashing into Barlow during Game 2 of the best-of-five series in Adelaide at teh weekend. 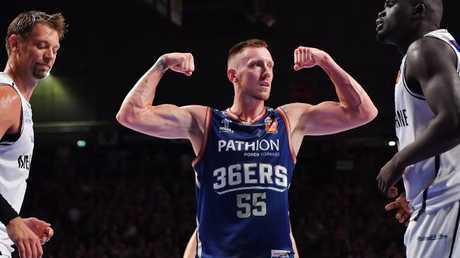 Speaking from Adelaide this week, Childress, who suffered a broken scapula from the collision with Barlow, suggested that he was physically targeted by United. 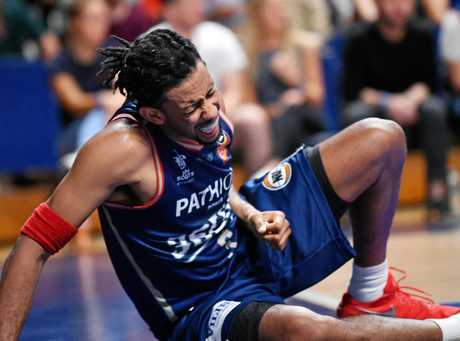 The import then backed up the claims on Twitter, including a reply to outspoken former NBL star and basketball commentator Corey 'Homicide' Williams. "Yeah. That wasn't an accident." Childress said. But Melbourne enforcers Tai Wesley and Josh Boone leapt to Barlow's defence. 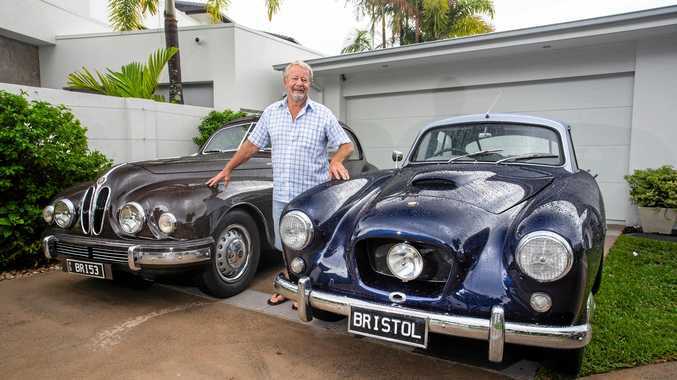 "I just don't think he (Childress) realised how strong he (Barlow) is," Wesley said. "The guy is in the gym every single day, I play against him every day, he's got a forearm that's just, (well) we call him 'CrowBarlow' for a reason. "I don't think there's been anything dirty, yet, hopefully it doesn't get to that, but calling (out) a guy trying to be dirty is out of line." Boone also backed up Barlow. "Dave Barlow stood straight up and put his arm up and Josh jumped into him," Boone said. Josh Childress watches training at Adelaide Arena. David Mariuz (AAP). "If he disagrees then watch the video. "It was an awkward play, he made a strong move and ran into a very strong guy, in no way were we trying to hurt him. "It just happened. That's what happens in basketball, sometimes you get injured." 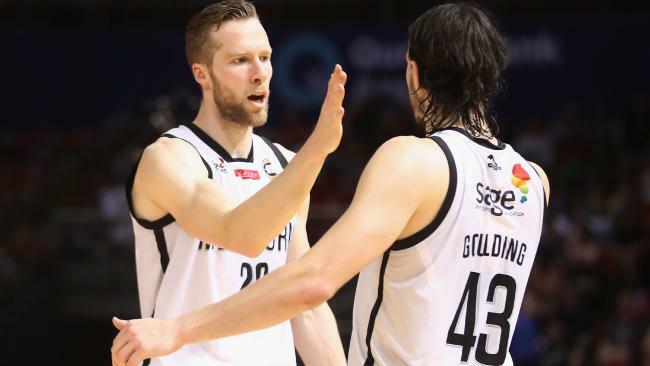 The latest incident adds more fuel to an already fiery rivalry between two NBL powerhouses hunting a drought-breaking championship. Tempers flared in Adelaide last Sunday with verbal skirmishes and goading from both teams. Wesley, who was fouled out in Game 2, said that he got "carried away". "It's all arrogant BS you know, just speaking for myself," Wesley said. "It's putting yourself apart from the team and that's something I don't want to do, I feel like I got caught up in it and I don't want to get caught up in it anymore. "I don't need to be flexing, let's flex after we win." The series is locked at one game apiece heading into Game 3 in Melbourne on Friday night.